After moving home or office, you’re likely to be left with a lot of empty cardboard boxes. Instead of throwing them in the trash, why not make use of them! 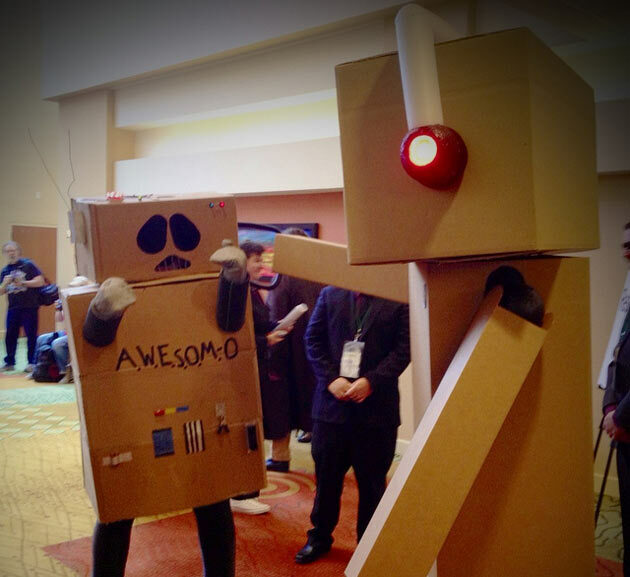 An old classic for Halloween, you can’t go wrong with a robot costume, and they’re easy to make, too. Simply cut the bottom out of a box large enough to fit your torso, and cut holes for your arms and head. With any extra cardboard lying around, make longer tubes or boxes for the arms and legs, and find a smaller box for your head. Cut out eye holes, and you’re good to go! Decorate the box with foil and other metallic oddments for extra effect. Cut square holes on opposite sides of a cardboard box, completely remove one side, cut another hole on top, and cover the holes with tissue paper. Inside the box, place a piece of white poster paper that curves up against the wall, to give your photos that “infinite” background. 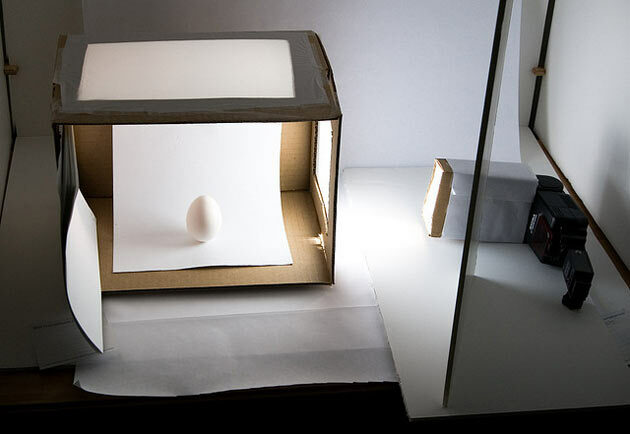 Place lamps on the outside of the box, and the tissue paper will filter the light, preventing harsh shadows. Cardboard is perfect for creating shadow puppets. 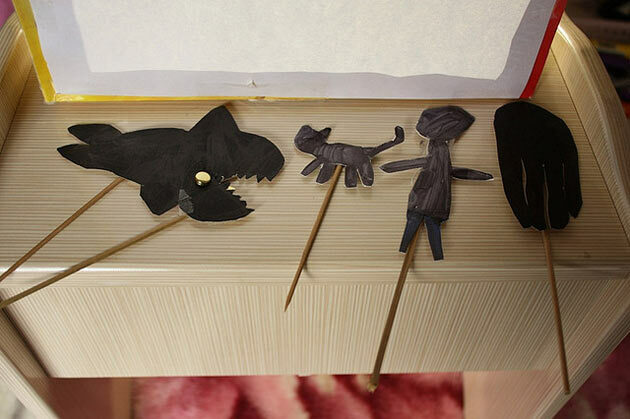 If you have enough boxes lying around, you can also make a little puppet theatre. Get your kids involved, just making sure that you do the cutting yourself. The hotter a laptop battery is, the shorter its life span. So keeping your laptop elevated to allow air circulation and release heat is an affordable and easy way to extend its battery life. 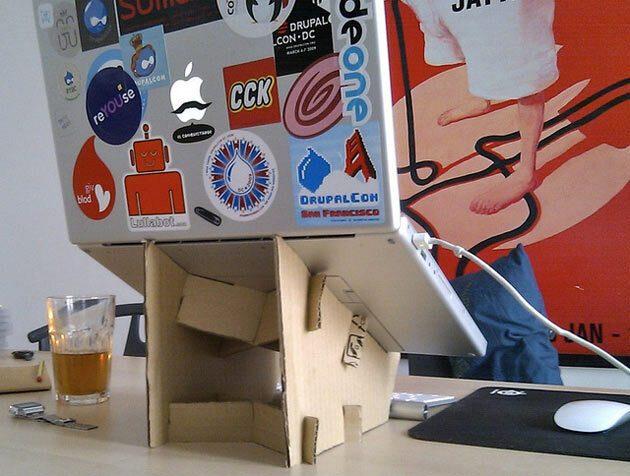 Using a cardboard box, you can even design a stand so that your laptop rests at an angle and you can use it with a desktop keyboard. Cats gravitate towards boxes. Why not give them a real treat and make a kitty castle for them? You don’t have to go all out – you could create a simple 2×2 or 3×3 version, and place your cat’s favourite toys inside it. The cat is certain to have settled in his or her new home in no time. 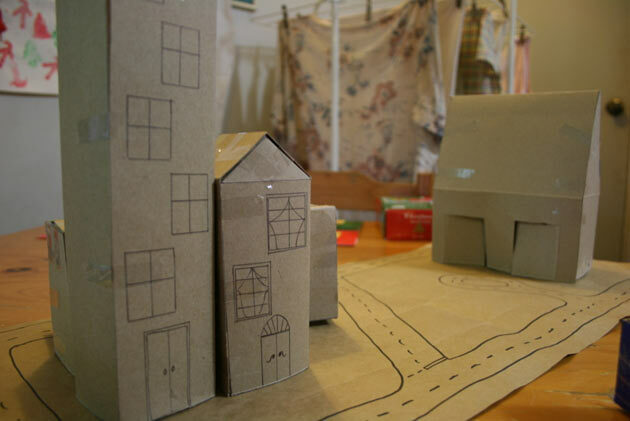 A great use for cardboard boxes that your kids will enjoy is a simple “box city”. This gives children a tiny world of their own to play with their toys in. Toy cars will have streets to drive in, toy monsters have buildings to scale or destroy, and so on – the only limits being your and your kids’ imaginations. Although this little girl is clearly having a great time, adults shouldn’t be afraid to try out cardboard box sledding as well. A cardboard box works just as well on a grassy hill, a snowy slope or a sand dune. This is a really handy, simple and low-cost solution for cooking when you’re camping and you don’t feel like lugging a Weber around with you. Simply cover the inside of a box with foil and place a grill stand inside, and you’ve got yourself a single-use, disposable oven. Place some coals in a tray under the grill, and put whatever you want to cook above it. This is a pretty time-consuming project, but the results are beautiful. Simply follow the original design, cutting as many layers of the cloud shape as you want. The more you do, the deeper the shelf will be. Get a bunch of smaller pieces of cardboard for the connectors, glue all the shapes together, and you’ve got yourself a beautiful, hand-made bookshelf. You can apply the same idea to any number of shapes, so why not try a few of your own ideas! (We dedicate a hat-tip to the team at XtraSpace self-storage who provided the inspiration for this post).